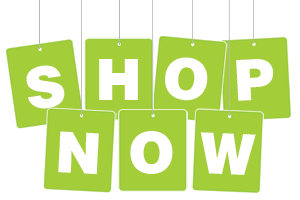 It's easy to place an order for any of our wide range of products and remember we have products to suit everyone, sports, weight management, nutritional drinks and supplements, cosmetics and beauty products, skincare and personal grooming as well as products to suit animals. You can contact me directly through any of the methods below or just head straight to the online shop, more details below. As a Retail Customer. Simply head over to my online shop here, select your country from the drop down menu, view the categories listed on the left side and click through to the product listings. Choose your products and check out. There is a delivery charge of €9 no matter what size your order is but there is no minimum order. You are very welcome to do this but to save you money on delivery, if the item can be posted (and most can apart from the heavier or boxed products), or I can deliver it to you, just get in touch and I can arrange it. As a Smart Shopper or Novus Customer - sign up to Forever to avail of 15% discount on orders! You can register with Forever Living Products at any time - its free to do so and you can avail of 15% off your purchases. There is a €75 minimum order and the €9 delivery charge applies. This is cost effective if you already buy some of Forever's products and would like to make some savings or feel you might be buying a lot in the future. This is also a good idea if you are thinking of buying a C9, FIT 15, or any of the larger packs or if you have some friends who might be interested in buying something. The more you order, the more you can save. It's simple to do - just let me know of your interest by phone or email and I will organize the application form. At Wholesale Prices - Lots of people register with Forever Living in order to shop smarter while saving 15% on their orders and are happy that they are able to do that. However, you can of course avail of a bigger discount and purchase products at wholesale prices. This is really the basis of what our home business is all about. Opportunity To Build a Business As business owners, we use the products ourselves and recommend them to family and friends. Everyone spends money on personal grooming as well as supplements, make-up and a host of other products every month. Our aim is to encourage people to replace the products they normally buy from a regular shop with higher quality products that can actually be of benefit in maintaining good health. There is no hidden agenda, it really is that simple! If you have been looking for an extra income, want to own your own business and work from home, help others and secure your retirement income, then this is an opportunity not to be missed. You don't have to build a business however to get a 30% discount but it is necessary to reach a certain level within the company. So as not to complicate things, the best thing to do is give me a call or email me and I can explain it further - no obligation. Prices quoted and charges are for products only unless additional products or extras have been quoted or requested. - Gift wrapping, packing and delivery is totally free and I cover Dublin and the surrounding areas. Simply email or call and let me know what you would like. Gift vouchers are also available to purchase - just get in touch. Some of our bigger product packs, eg, Vital 5 Nutrition, Sonya Skincare, Clean 9 are already available in boxes from our head office. Because these larger packs are already boxed, they will not be gift wrapped as they will be sent directly from our Head Office which is Magheramorne House, a grade II listed building in Larne, County Antrim. You may order these for any location in Ireland. I do of course accept cash however the easiest method of payment is through paypal. Simply log into your paypal account and email funds to suziwalks@gmail.com. Please add your name and a note to the order. If you are ordering directly from our online shop - follow the instructions at checkout. 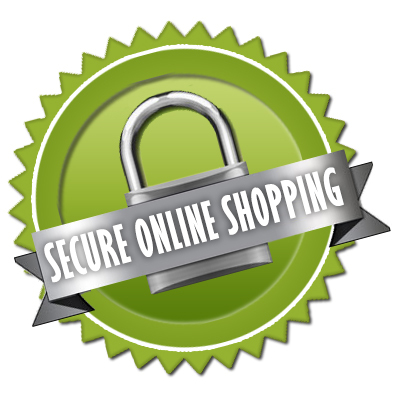 When you purchase directly from Forever's Online Shop, you can rest assured that your shopping experience is safe and secure. It is important to point out that it is Forever who process your online order and your card payment details so at no stage will I personally have access to them. Likewise, if using paypal, I do not have access to your card information. EXPLORE A NEW WAY OF WORKING!